We live in a world surrounded by chemicals and toxic substances that can kill us. On the other hand, they, also, clean our clothes, fertilize our crops and kill dangerous bugs, among many other things. The fact is that we cannot live without being around dangerous chemicals. So, what have we done to protect ourselves from harm. First, we test the chemicals to see how dangerous they are. Some are so dangerous that they cannot be allowed to exist outside of a laboratory. There are some acids that are so powerful that they can eat through anything but a few certain types of containers. So, they are never seen by the public. Of those that we must tolerate, we insist on proper warnings or special packaging. Household cleaning supplies, for instance, are toxic if swallowed, but warnings tell the user not to do that. Some containers have difficult caps to remove, so that there is no accidental spill of a product that can cause harm. In claims for injuries resulting from exposure to a toxic substance, the issue is whether the product was produced to be just as minimally toxic as it needed to be to accomplish the desired objective and whether it was packaged and labeled to inform the user how to safely be around the chemical substance. For instance, sometimes vapors from a chemical can be deadly, so in that situation warnings will include the need for proper masking. Toxic substances and chemical injury cases are a type of product liability claim. Expert witnesses are needed to explain to the jury the danger that the substance presents and whether it could have been made safer, while still performing the same desired function. In addition, it the packaging was inadequate or the warnings did not give enough information, then that can be the basis for a claim. Often, there is a battle within a company between the safety engineers who want to warn about the dangers of a product and the sales people who are afraid that too many warnings will make people not want to buy the product. This is why it is important to contact an experienced toxic and chemical injury attorney. A search of the manufacturer’s records may reveal such an internal discussion, and if discovered, It is the job of the lawyer to help the jury understand the company’s eventual decision to forsake safety in order to increase sales of the product. A. Russell Blank LLC specializes the handling of toxic or chemical injury cases. Russell has spent decades in understanding the nature of how these cases need to be investigated and how to assemble a team of experts that will persuade a jury that the injuries did not have to happen. 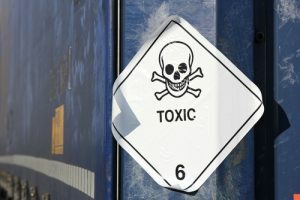 If you have suffered an injury because of exposure to a toxic substance, you need a toxic and chemical injury attorney. Contact us right away.